Holy @#$%, If The Evil Dead TV Show Happens It'll Star Bruce Campbell! Uh, remember how when Sam Raimi announced at Comic-Con that he and his brother Ted were working on an Evil Dead TV series and that Bruce Campbell was somehow involved? And I figured he could be doing anything from starring to producing? Turns out it's the former. Groovy. Now, just because Campbell's willing to star doesn't mean than Sam and Ted Raimi will actually finish the damn treatment for a TV series. I mean, Campbell's also been willing to star in Evil Dead IV, and you can see how far that's gotten over the last 20 years. 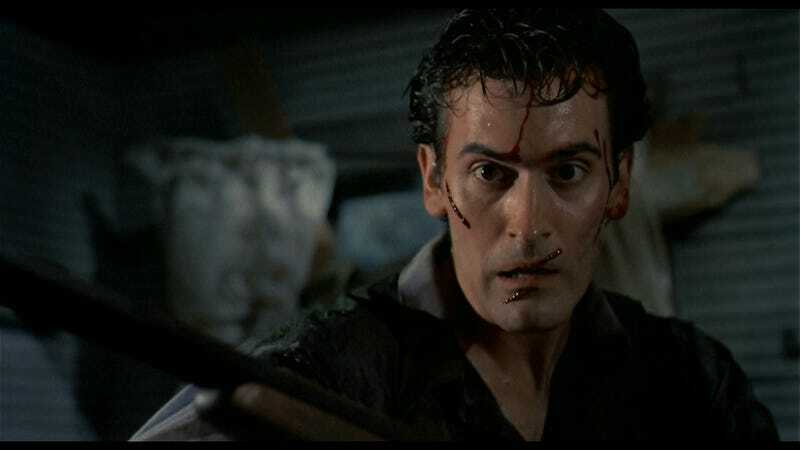 But still, if the idea of an Evil Dead TV series sounded awesome before, the idea of it starring Bruce Campbell is... well, now I'm going to be devastated if it doesn't happen. Which it probably won't. Damn you for getting my hopes up! Dammmnnnn yyooooouuuuu!